A lot of canna companies put all of their attention and efforts into a single social media presence such as just Facebook or just Instagram. While this might seem to save time and reduce the demands of social media marketing on your staff, the reality is the risks for this strategy are high. Focusing only on a Facebook Page, for example, could mean that one false move or a random complaint from a user can trigger a Page shutdown and suddenly your sole social media presence is gone along with all of your followers. Yes, you can get it back, but how do you market online in the meanwhile without an alternative presence? The flip side to putting all your social media eggs into a single social network basket is to have a presence everywhere. While it is a sound social media marketing practice to “park” your brand name across all networks, focus on just a few of those as your main brand builders and traffic drivers and use the others as gateway presences leading to your main ones. You’ve got a social media presence on some of the big and popular social networks along with a cannabis one, too. Great! But are you using them? Having a presence for your brand is one thing, but failing to apply best practices to each social network you’ve joined to reap the marketing benefits of having them is wasting your resources. Even the most bootstrapped companies can apply a few savvy streamlining techniques and use the free level of some of the best social media management tools out there to get more use out of having a presence on social networks. We’ll cover a lot of these techniques over the coming months. You can subscribe to our emails to be among the first to receive our social media marketing tips each month. While it may seem easy and convenient, auto tweeting is not an ideal way to streamline your social media marketing. First of all, Twitter can be a wider-reaching social media platform than Facebook, Pinterest or Instagram and a better relationship builder to help you grow you brand and business. Second, Twitter may have been more of a text-oriented social network in the beginning, but now you can use photos, illustrations, and video as well as Twitter polls, making for a much more dynamic feed to attract more attention and get more shares or retweets. By auto tweeting from Facebook, your tweets are filled with text-only tweets that cut off mid-sentence and Facebook short URLs that simply spell out “lazy” and “boring.” By auto tweeting from Instagram, you’re failing to leverage all those amazing visuals for your Instagram feed. What a waste! 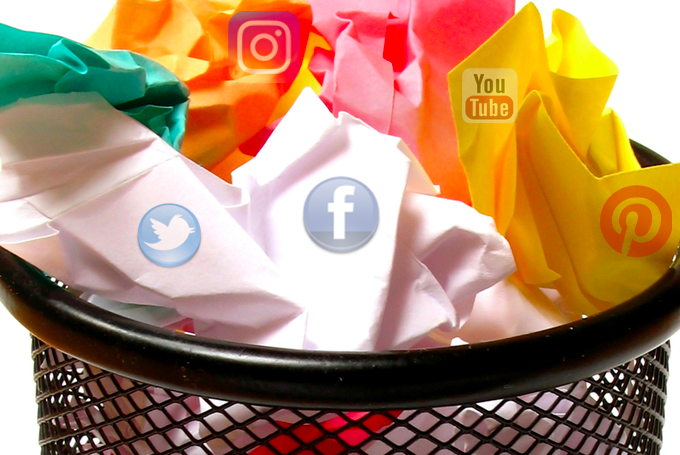 Repurpose your content from Facebook or Instagram following Twitter best practices and get your visuals and videos out to a wider audience. Links can be the driver of traffic. Other than Instagram that doesn’t allow links, not leveraging social media posts to drive traffic to key web pages (and not your home page, by the way) is missing out on the power of social media marketing. Not every post you create should have a link, but we’ve seen feeds for companies and even for events that never include a link in their tweets or Facebook Page posts, missing many opportunities to send people to a product page or event registration page. Remember that not all links are created equal. As we mentioned above, you don’t want to just send everyone to your home page where they can get lost, especially when they’re on their mobile device. Think: What can I get them to do to strengthen our connection and that they can easily do on a mobile device? Sign up to something, participate in a quick poll, watch a video, etc. In this age of fast-moving social media newsfeeds, if you don’t put some links in your posts, your followers (and their followers) will just tap a like button and move on instead of moving closer to you and connecting. Too many cannabis companies forget to regularly post who they are, what they do, and include clear calls to action to encourage interaction. We’ve scrolled down social media feeds where the company never once remembers to post something that we could share for them to our followers that succinctly explains their business or showcases a product or service. Some companies get so caught up in trying to create “viral content” that their business goals are no longer being addressed in their social media news feeds. We’re not saying be overly commercial and promote things all the time. But if we can’t find a single post in your feed that helps us understand what you do and that we can share with others to promote what you do, you’ve missed a big social media marketing boat and are drowning the rest of us in noise. Social media marketing can seem like a full-time job, and it clearly takes time and effort. More importantly, your social media marketing needs to be rooted in your business goals, be aligned with each social network’s best practices, and set up in a way that puts more power and reach into every post and tweet. Let us tame the beast!